There is a heap of research showing that baking can improve your mood and confidence. 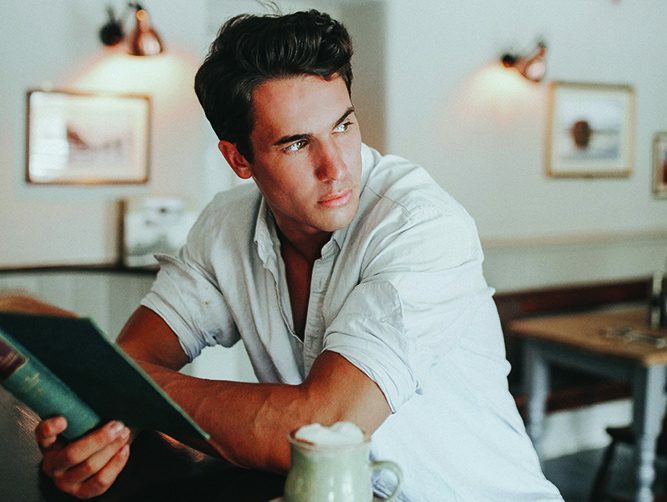 When you create something, even if it isn’t the perfect specimen or insta-worthy, there is a unique sense of achievement that leads to a feeling of pride, consequently boosting your self worth. If you are feeling stressed or a bit down, creating something delicious is extremely rewarding, even more so if you are baking for someone else. Psychiatrists even recommend baking for patients with depression. 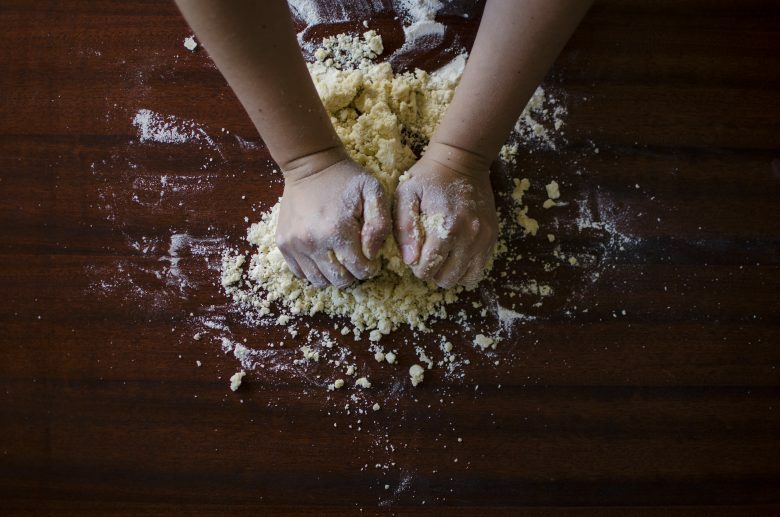 Mary Berry once said: “If you’re feeling a bit down, a bit of kneading helps.” Baking can create comforting and nurturing feelings, which can help your well-being. Baking gives you time to switch off, focusing on the process means you can give yourself a break from other things you may be worrying about. Working through a recipe step-by-step means you don’t have to think about anything else. It can halt the whirring of your mind, easing stress and lifting your mood. Have you noticed how baking awakens all of your senses? The smell of baking brownies, the aroma that triggers a happy memory, the physical kneading of the mixture… transporting yourself back to happy times and childhood baking days with your grandparents. Utilising all of your senses can increase those feel-good endorphins. When you bake it can work as an antidote to the daily grind. Taste, sight, sound, feeling and memories. Baking could also be good for your career. As well as impressing your colleagues, having a hobby at home can boost your productivity at work. If your mood is lifted by baking at home, your mood will be better at work and with your team. Baking could also help you express yourself, improve your skills to solve problems, and improve your patience and pride. One of my most favourite reasons for baking at home is the control of ingredients. 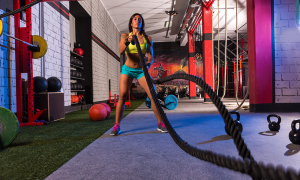 I can utilise whatever I want to create a specific combination to enhance performance, improve recovery, gain mass, enjoy a low-calorie treat and work around allergies and food intolerances. Cake can have benefits! For example, a chocolatey cake can be full of antioxidants. 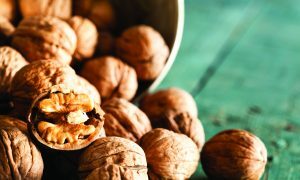 A coffee and walnut cake will provide omega 3 thanks to the nut oil. There are always ways you can tweak a recipe, too. so you can still have your cake and eat it. Baking your own cakes can combine nutritious foods with possible health benefits. Increasing vitamins and minerals with other nutrients will also boost your creativity. I recently worked on a project to create highly nutritious, macro-friendly and calorie-dense snacks for someone wanting to increase their body mass and strength. Almost the opposite of my normal recipe design remit. When you bake something you are more likely to savour each mouthful and less likely to mindlessly munch or emotionally eat, which can lead to unwanted weight gain. You can control your portion sizes better, as we have a tendency to over consume when eating out. Baking at home can also utilise alternatives to fat and cane sugar, and can be multi-allergy friendly. Spiffing flours, for example, have a fabulous mix of ancient grains, sprouted grains and different types of flours to try. A tasty treat with a rich chocolate flavour and a hint of nut butter. It’s also wheat, gluten, sugar, dairy, soy, and grain free, all without losing the sense of special-occasion indulgence! Combine your dry ingredients in a bowl. In a separate bowl, combine your wet ingredients, you need to melt the coconut oil first. When the coconut oil has cooled, add the eggs. Combine the wet and dry ingredients. Stir in the chocolate chunks and mix everything thoroughly. Line your slow cooker with baking paper. Add the brownie mix. Drop the almond nut butter on to the brownie mix. 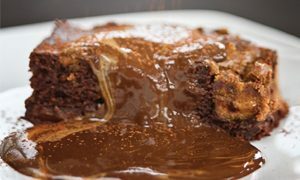 Swirl the nut butter through the brownie mix with a knife. Place the lid on and leave to cook on low for approximately for 1 hour 45 minutes. This recipe takes only 10 minutes to prepare, and which point you can leave it to bake for two to three hours in the slow cooker, leaving you free to get on with other things. The slow cooker keeps it warm and moist much longer. 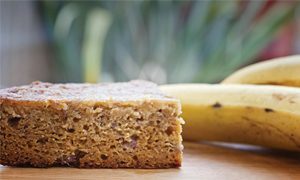 You can also leave the slow cooker on ‘warm’, meaning you can have lovely warm delicious protein banana bread for much longer. Mash up the bananas with the fork in a large mixing bowl. Add the melted coconut oil to the bowl. Stir in the vitafibre, vanilla, coconut milk, and eggs (or vegan substitute!). Mix thoroughly. Add the flour and baking powder, mix again. Your mixture will be a little runny like a pancake mix. Do not worry, this is perfectly normal. Add the protein powder and again mix thoroughly. You will find that this thickens the mix but it will not appear to be like a normal cake mix. Line your slow cooker with the grease proof paper, and pour your mix in. Cook on low for an hour. If you wish at this point add the banana chips for decoration. Cook for a further hour until the bread is firm in the middle. The top of the cake will also turn a golden brown. Once finished remove from the slow cooker by lifting the paper out and then place on a cooling tray, or you can slice and leave in the cooker to keep warm throughout the day, or for a delicious breakfast.